Comic-Con returns once more to San Diego next week, and you can bet that the four-day event will lead to a very healthy dose of news in the coming days and weeks with so many brilliant films heading to the convention. Things are already getting off to a good start, with Peter Jackson himself releasing a fantastic new Comic-Con poster for the first instalment of The Hobbit – The Hobbit: An Unexpected Journey. Jackson’s return to Middle-earth kicks off this December, and word came yesterday that filming had officially wrapped over in New Zealand, shooting both instalments – An Unexpected Journey and There And Back Again – back-to-back. The film stars a fantastic ensemble of new and old faces alike, including Martin Freeman, Andy Serkis, Evangeline Lilly, Luke Evans, Stephen Fry, Hugo Weaving, Benedict Cumberbatch, Richard Armitage, Ian McKellen, Ian Holm, Elijah Wood, Orlando Bloom, Cate Blanchett, and Christopher Lee. 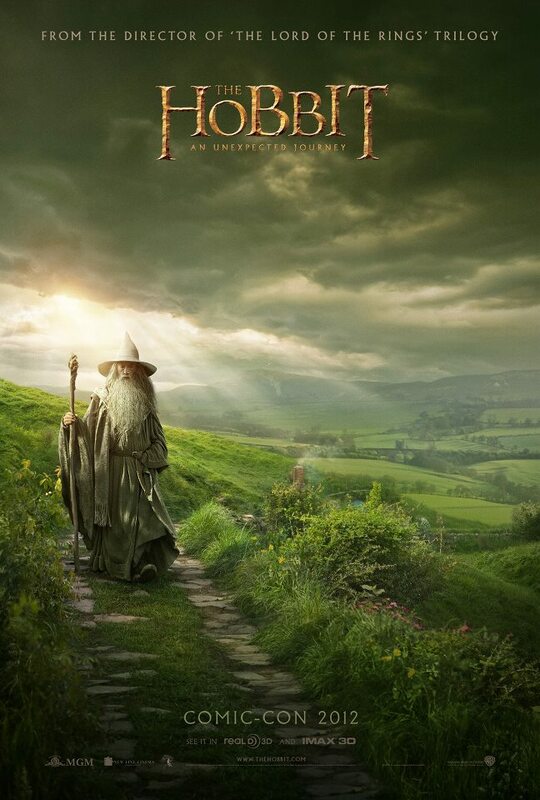 The Hobbit: An Unexpected Journey is due for release this December in the UK and US, and as you can see from this poster, it’s due for a release in 3D and IMAX 3D – tickets will be going on sale for the BFI IMAX later this year, and it’s safe to assume they’ll be selling like hot cakes. As usual with this great poster, you can click to enlarge.